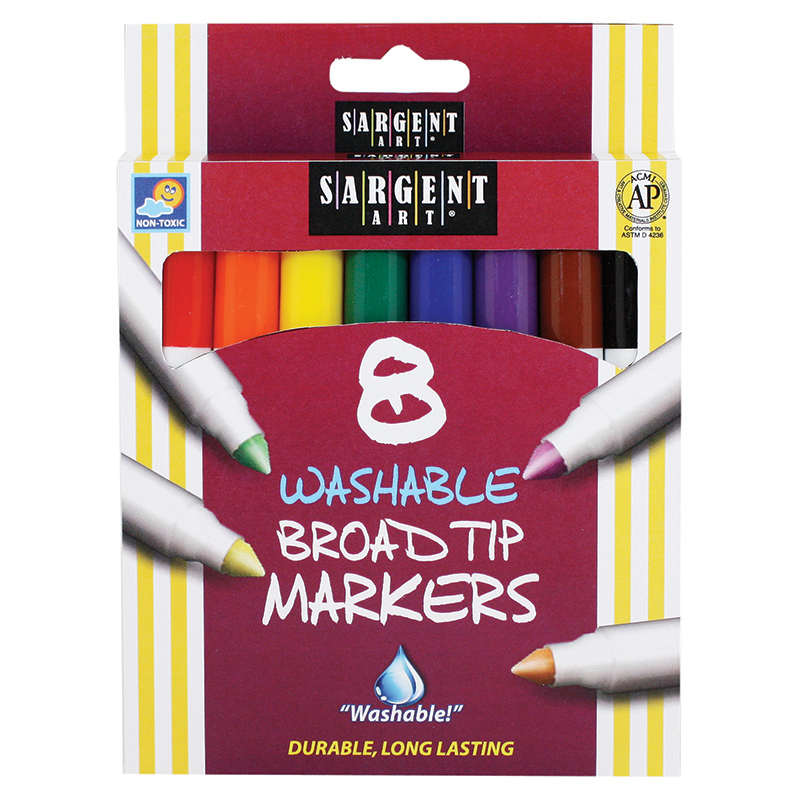 Broad Tip Washable Markers feature superior pigment and color, with a quality broad conical felt tip and vented cap. Washes from most fabrics and skin with soap and water. Non-toxic, conforms to ASTM D 4236. Each pack includes 8 markers in classic colors. Sold as 12 packs for a total of 96 markers. 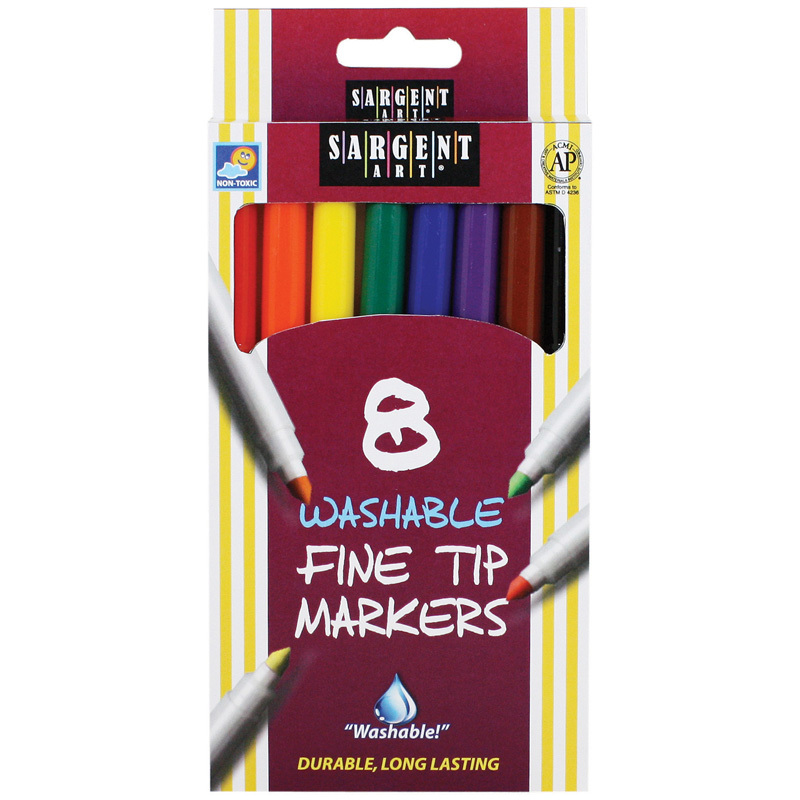 The (12 Pk) Sargent Art Washable Feltsuper Tip Markers Broad Tip can be found in our Markers product category within the Arts & Crafts. 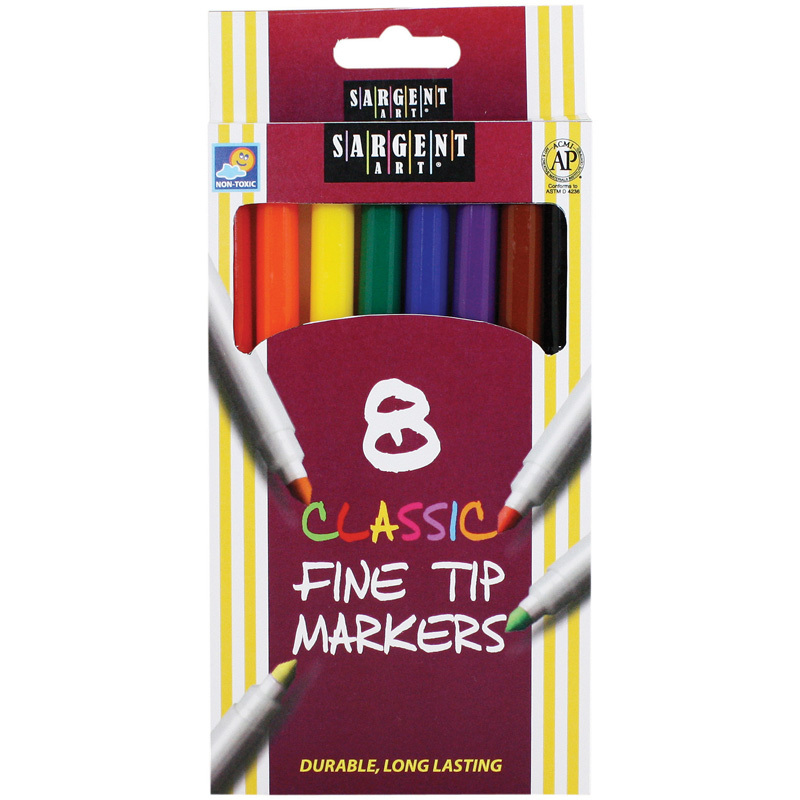 Fine Tip Classic Markers feature water-based, superior pigment and color, with a quality fine conical felt tip and vented cap. Peggable package. Non-Toxic, conforms to ASTM D 4236. Each pack includes 8 markers in assorted colors. Bundle includes 12 packs for a total of 96 markers.